In the end, only one person is responsible for spilling Hulu’s secret renewal for Runaways season 3: James Marsters. The former Buffy the Vampire Slayer co-star portrays Victor Stein on Runaways, and he was a guest this weekend at the Lexington Comic & Toy Con. During a panel, Marsters told the crowd that “the [Runaways] showrunner just told the cast that we’re in for a third season!” Moments later, Marsters seemed to regret that revelation when he noted that he violated Marvel’s rules for secrecy. Naturally, the clip quickly made the rounds online. 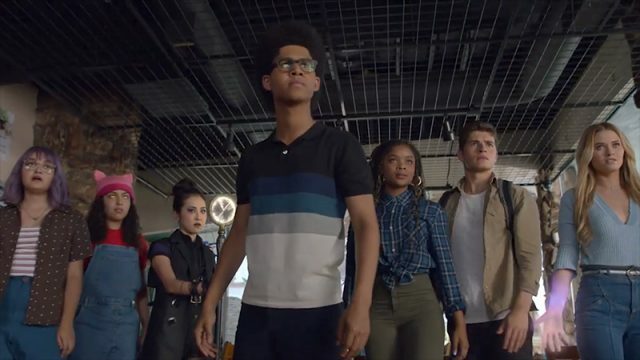 Shortly thereafter, Hulu confirmed the news and officially announced Runaways season 3. However, there are going to be some changes in the new season. To start, the episode order is shrinking from 13 episodes to 10. Additionally, Marsters and the other adult performers who play the parents will only appear in 7 episodes. According to Deadline, that’s because the series will place a renewed emphasis on the titular teenage Runaways. Are you excited to hear the news about Runaways season 3? What do you want to see in the third season? Let us know in the comment section below!